What is eczema on Scalp or scalp eczema? An itchy, red, inflamed and irritated skin on the scalp is known as scalp eczema which is a form of dandruff and also called seborrheic dermatitis. In toddlers or baby’s this itchy and irritation condition of scalp known as cradle cap. A seborrheic dermatitis is a form of eczema which is normally found on the scalp. This skin problem normally occurs oily part of your skin, so this can occur on parts of your body like face, back or hands. This problem can come back again and again. There are many ointment and medications available for eczema treatment on the scalp but they can have some side effects. You can use Home Remedies for Eczema cure on the scalp, hands, legs and face, which is less expensive and side-effects free. 1.1 What Causes eczema on any parts of the body? Seborrheic Dermatitis– It mainly occurs on the scalp or oily parts of your body. Seborrheic dermatitis usually occurs at the time puberty or in adulthood. Chronic type of seborrheic dermatitis can also occur on your back or face. Atopic Dermatitis: It is a chronic type of dermatitis which causes inflammation, ooze and weeps to the skin. Normally happen to the people who have a family history of atopic dermatitis or AD. But this problem not only occurs because of genetic, it can also occur due to the environment. This problem normally occurs in young children, mainly below 5 years of age. Atopic dermatitis normally occurs on hands, face and other parts of the body but it can also occur on the scalp. Contact Dermatitis: This type of eczema can occur at any age and any parts of the body. It occurs when you make contact with allergens or irritants from the environment. The symptoms of contact dermatitis are itching and redness of the skin. Sometime it may cause you skin rashes or hives. 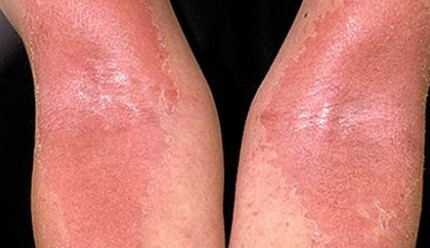 Varicose Dermatitis: This type of eczema mainly happens in the later stage of your life but doesn’t mean it cannot happen at an early age. Women are the main victims of this health condition. Varicose dermatitis mainly occurs when you are overweight, had phlebitis or cellulitis in past, poor blood circulation and blood clots in legs etc. What Causes eczema on any parts of the body? If your skin is allergic to something that might also cause you eczema. As many things can cause eczema, so there are many factors which can increase the chances of having dermatitis. Age: different type of eczema occur at a different age. Asthma or allergic to something. Your occupation might play some role in developing eczema on your skin. If you work in some cleaning supplies, with metals or solvents then you are more at risk to have eczema. You can get many over the counter medicines to get rid of eczema or dermatitis but they are expensive and can have side effects on your skin. There are many natural remedies which you can use to cure eczema at home. Coconut oil has antibacterial and anti-fungal properties which help to cure itching on scalp. It also keeps your scalp moisturize which prevent developing of fungus on the scalp. It is a great home remedy to fight fungus due to the presence of fatty acids in coconut oil. Take two tablespoons of virgin coconut oil and heat it lightly. Then apply this to your scalp and hairs. Massage your head at least for 2-3 minutes and leave it so that your pores on scalp absorb the oil properly. You can also use coconut oil in your hand to cure eczema. Massage your hands with coconut oil for five minutes 2 times in a day until you get relief. Tea tree oil is one of the best natural eczema treatment due to its antibacterial, antifungal, anti-inflammatory, antimicrobial, and antioxidant properties. It helps to cure itching, irritation, an infection caused by bacteria. This oil also keeps your skin moist and prevent infection from spreading. This oil not only beneficial for dermatitis, it also cures dandruff, skin rashes, acne etc. Is recommended to use diluted tea tree oil. You can use any oil like olive, sunflower, coconut, avocado, almond oil, and jojoba oil. As undiluted tea tree oil can have opposite effects on your skin and make situation worst. Avoid this essential oil if you are pregnant. Take ½ cup of coconut oil and mix 20 drops of tea tree oil in it. Now mix them well in a small bottle. Now, apply this mixture on your scalp, hands, face or other infected parts of the body. You can also take a bath with tea tree oil to cure eczema (Dermatitis). Prepare a mixture of 2 tablespoons of olive oil and 15 drops of tea tree oil. Pour this mixture in the bathtub and take bath for 15 minutes. Do this remedy twice in a day until you get relief from dermatitis. Aloe vera is a good home remedy to treat dermatitis and as well as dandruff. It has antibacterial and anti-inflammatory properties which keep your skin moist and cure eczema. Take fresh leaves of aloe vera and extract the gel. Now apply directly to the scalp and leave it for 15-20 minutes. Then rinse it off with lukewarm water. Repeat this remedy twice in a week. Garlic is a very effective natural home remedy for eczema treatment due to its antifungal and antibiotic properties. It contains allicin which fights with fungus and prevents dermatitis. Take 2 tablespoons of garlic juice and 2 tablespoons of water. Mix them well and apply on the affected area of your body for overnight. Wash it off in the morning with warm or normal water. You can also consume garlic clove directly. Take few garlic cloves and cut into pieces. Keep it for 5 minutes and then eat them. Apple cider vinegar helps to stop itching and irritation caused by eczema. It contains antibacterial and antifungal properties. 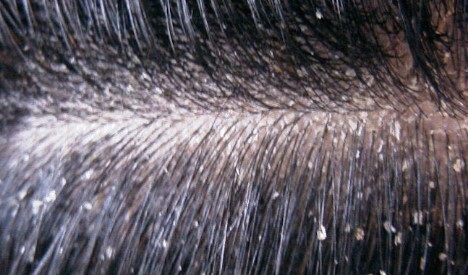 It removes all the dead cells from the scalp and maintains a pH level of the skin. Take one tablespoon of apple cider vinegar and 4 tablespoons of water. Mix water and apple cider vinegar well and apply in your scalp, hands and other affected parts of your body. Oatmeal bath is a very effective home remedy to cure skin redness, itching, and dryness. It has antioxidant and anti-inflammatory properties which help to soothe your skin and cure eczema quickly. Add one cup of ground oatmeal powder in your bathtub. Keep your water warm and maintain the oatmeal consistency. Now soak your body for 15-20 minutes to get rid of eczema from hands and other parts of the body. Turmeric is one of the best cure for eczema. This is not a topical home remedy like other remedies. It is very effective when ingested due to it’s anti-inflammatory, antibiotic, anti-oxidant, anti-fungal and antibacterial properties. Turmeric has many health benefits and according to Ayurveda, it helps to cure disease like cancer, heart condition, digestive problems and skin problems. Consume 3-4 grams of turmeric daily to cure eczema. Another easy and wonderful home remedy for eczema treatment. It has anti-inflammatory and anti-bacterial properties which give you relief from redness and itching. It also prevents your skin from bleeding and infection. Instead of olive oil, you can use jojoba or lavender oil for itchy scalp. You can massage your scalp with olive oil for 2 minutes and leave it for 5-10 minutes. Then remove the oil with warm water or wet towel. Olive oil is also used to cure eczema on hands, face or other parts of the body. Chamomile is widely used as a natural remedy for skin cure. It has anti-inflammatory, anti-oxidant and antifungal properties which help to get rid of inflammation, irritation and itchiness. Mix chamomile oil in your bathtub and soak yourself for 15 minutes daily. Massage with chamomile oil daily on the affected part of your skin. Repeat this remedy daily until you get relief from itching due to eczema. Is Vaseline good for eczema? Yes, Vaseline is not the most effective one but still, it helps to cure eczema. It keeps your skin moist and stops itching. Vaseline also soothe your skin, reduce inflammation and stop infection. Massage with Vaseline daily for fast recovery. When to See A Doctor If You Have Eczema? If you are having itching and redness of skin more than 3-4 days. When you have constant itching with pain. When your skin starts oozing and weeping. If eczema coming back again and again. If you have itchy scalp then use baby shampoo. It is very mild and won’t irritate your skin further. Always wash your hair with normal water or cold water. Hot water makes your scalp dry and increases the chance of eczema. Useless cosmetic on your hair or face. Wear cotton clothing to avoid eczema. Dermatitis or Eczema is not a serious health condition but it can affect your daily life. This problem cause you irritation, redness, and inflammation of the skin. It can also cause you rashes and bleed sometimes. There are many over the counter treatment available for skin cure. But they are expensive and risky. Use natural home remedies to get rid of scalp eczema at home. If this problem doesn’t go away then consult with your doctor.